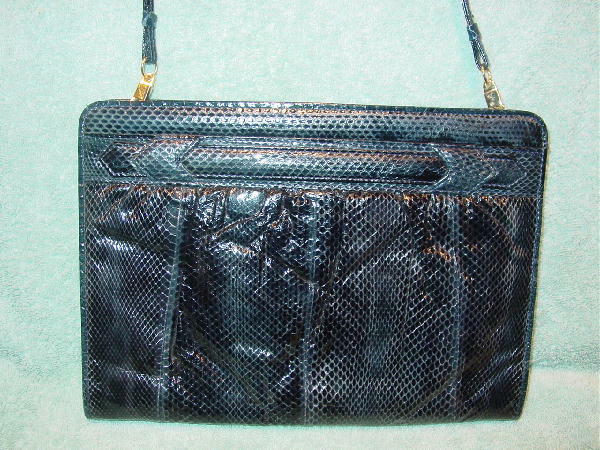 This vintage snakeskin purse is by Mary Ann Rosenfeld. It has a blue lining with blue fabric in the interior large zippered back pocket. 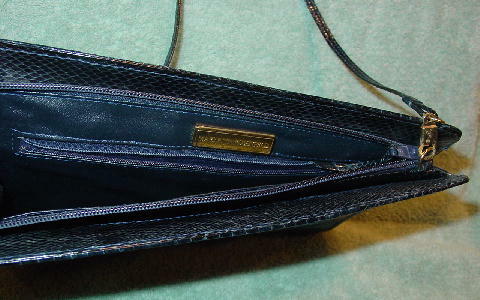 The interior has two sections with an open pocket facing the zippered pocket. There is a gold-tone metal tag above the zippered pocket which has Mary Ann Rosenfeld etched on it. It has an exterior back open compartment. The interior back pocket has a top side to side zipper closure with a snakeskin pull. The front section is open. The snakeskin is in a midnight blue which almost looks black. 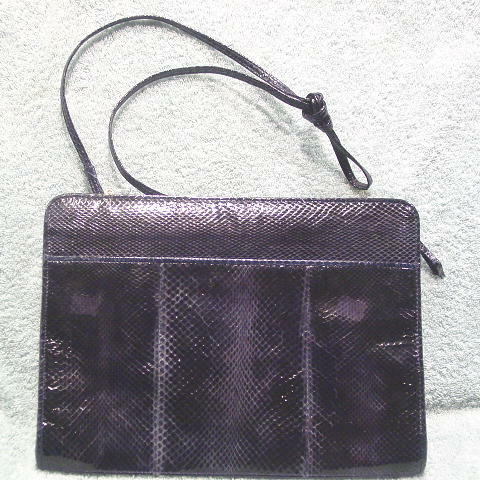 It has a 33" by 1/4" snakeskin shoulder strap which is tied in the center. The back has two small areas where the snakeskin is not as shiny. The light areas in the pictures are reflections. It's from a former British model, who bought it with the "unshiny" areas.